Though Syfy has effectively recommitted to its eponymous genre (intentional misspelling notwithstanding) by producing series like The Expanse and 12 Monkeys, the network continues to dabble in the supernatural with series like Bitten, Lost Girl, and the recently-announced Van Helsing, which will follow a modern-day, female vampire slayer (no, not that one). 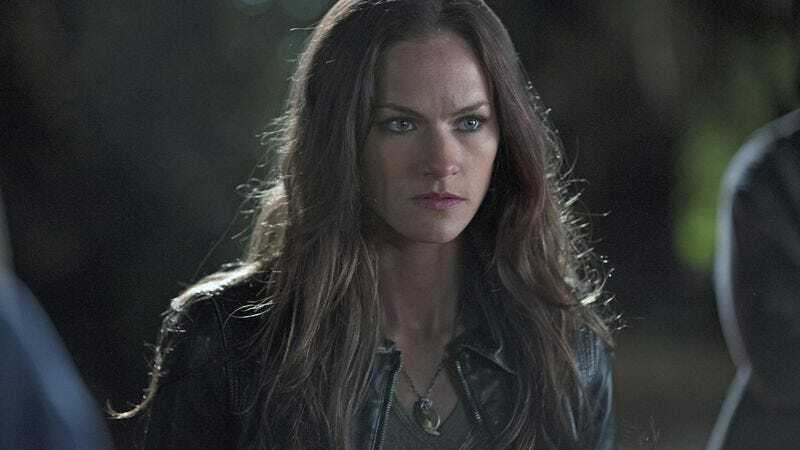 The Neil LaBute-produced (yes, really) series has already nabbed a 13-episode order, and now Deadline reports that Kelly Overton, who was no fan of vampires during her stint on True Blood either, has been cast in the lead role. The Van Helsing series will be set in the post-apocalyptic world of the post-Rising, a dark future in which vampires overran or otherwise “converted” humanity. Overton, late of TNT’s Legends series, will play Vanessa Helsing, a descendant of Abraham Van Helsing who is resurrected in this vampire-infested world as “humanity’s last hope.” Vanessa will be aided in her efforts by Axel (Hell On Wheels’ Jonathan Scarfe), “a career Marine“ who’s loyalty to the vampire-slaying cause and his “wards,” and John (Ray Donovan’s David Cubitt), a somewhat cagier survivor of the vampire coup. Mad Men and One Tree Hill alum Paul Johansson will play Dimitri, a kind of elder statesman of vampires who serves as their “patient and calculating leader of the vampires.” Among the many be-fanged foot soldiers will be Ted (Tim Guinee, Homeland), who will have to battle Vanessa while also “concealing a tragic past,” which leads us to wonder what could be worse than being turned into a vampire against your will. Production is scheduled to begin later this week, with a whole slew of directors that includes Jason Priestley (Haven), David Frazee (Orphan Black), Simon Barry (Continuum) and Amanda Tapping (The Magicians).